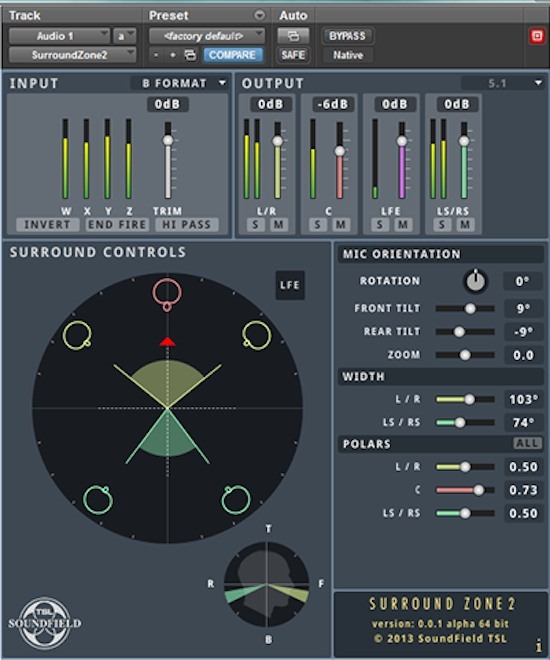 TSL have released SurroundZone2 and it is available free of charge to give anyone the freedom to manipulate SoundField B-Format and A-Format recordings. The new plug-in merges the functionality from the original “Surround Zone” and “SPS200 Surround Zone” plug-ins into one new plug-in. At the same time they have added some new controls such as “Snap Tilt” and “individual polar pattern control” for the surround modes. They have also released a range of quick start guides for different DAWs including a Pro Tools Quck Start Guide.